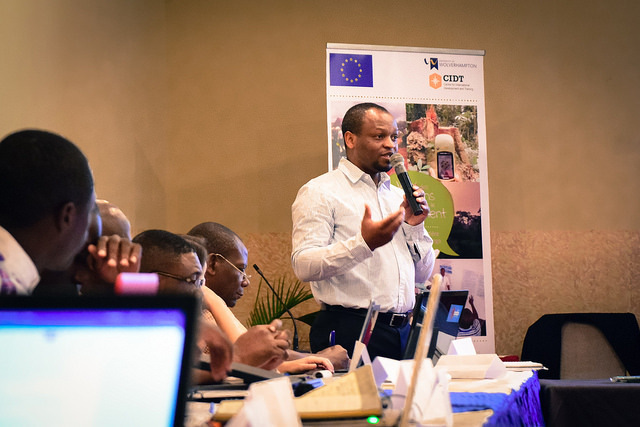 Representatives from all 8 partner organisations of the Citizen Voices for Change: Forest Monitoring in the Congo Basin project came together for the first time for the CV4C Project Launch and Action-planning workshop, held in Kinshasa from 24th-28th April. 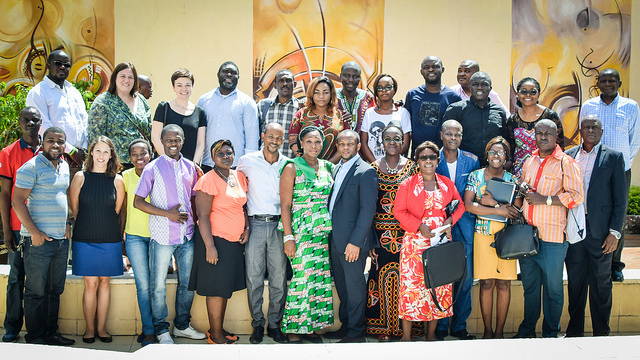 The five-day workshop marked the end of an intensive four month project inception period during which a series of needs assessments were undertaken in each of the 5 project countries. 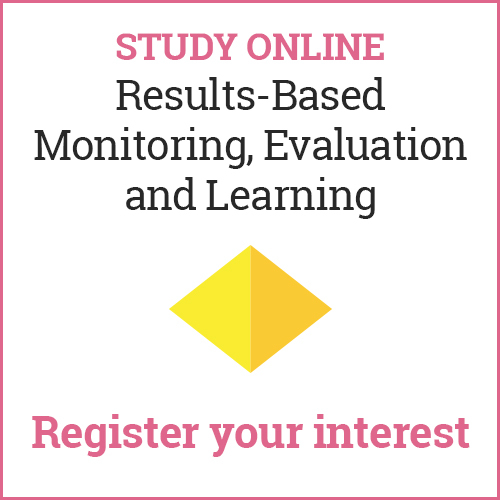 These included an organisational needs assessment, gender audit and forest monitoring capacity assessment with partners, and an institutional needs assessment with national civil society platforms. 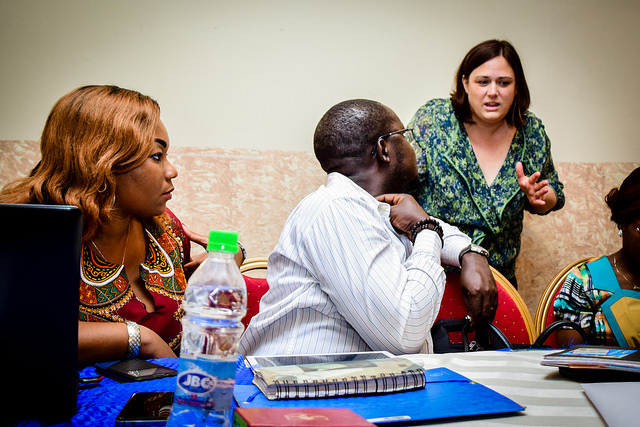 Days 1 and 2 of the workshop provided an opportunity for partners to review and discuss the outcomes of the needs assessment process as well as preliminary findings from the baseline study. 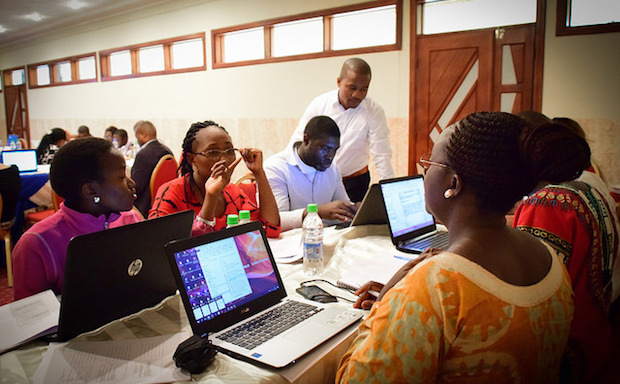 Country teams then worked together to formulate their Year 1 action plans, responding to the institutional and technical needs identified, as well as the key governance challenges in the forest sector in their respective countries. All action plans were presented and discussed, allowing partners to explore ideas for cross-border and regional collaboration and for organisational peer support. Following the official project launch ceremony on Day 3, attention turned to internal management and coordination systems. The structure of each partner organisation’s project team was presented and mechanisms for communication at organisational level, and across the consortium were discussed. 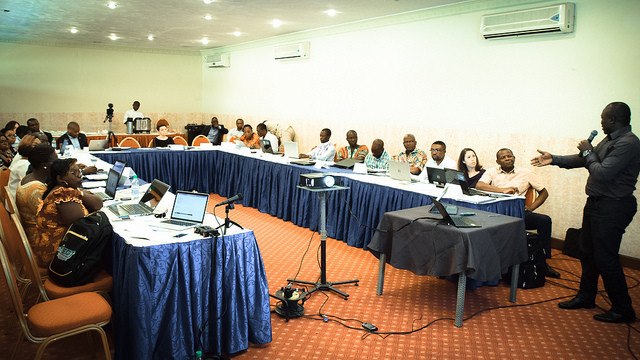 Financial management and accounting procedures were also reviewed in a session led by the finance managers of project partners FODER and FLAG, and the composition and Terms of Reference of the Project Steering Committee were established. Finally partners had an opportunity to input to the draft project communication strategy and to share innovative ideas about how to promote awareness of the project and to influence change, both nationally and across the region. A few photos from the workshops are shown below. You can view the full photo album online at Flickr.